The mother of a disabled boy has described her anger at finding a note on her car accusing her of "laziness". Emma Gearing, 26, a holder of a valid blue badge, said the person who left the note was "spineless" and "too quick to judge". Her disabled son is fed through his stomach. The note read: "Laziness is not a disability. Using a disabled badge when you don't need it could cost you £2,000 and permanent removal of your badge. Don't take your good health for granted." Speaking to the BBC, Mrs Gearing said she had parked in Maidstone on Tuesday afternoon while she visited the doctor and waited to collect her young son from school. She found the note when they returned to the car. The mum-of-two said: "When I saw it I got really upset. They've just assumed it was me but they could have asked me. "It upset my seven-year-old as well, people shouldn't be allowed to get away with it." Mrs Gearing said she had faced abuse on previous occasions from people who thought she was pretending to be disabled; she had been "blocked in" by other motorists and had been the victim of verbal abuse. She said: "I have to show them the peg in my son's stomach to prove it." Mrs Gearing's four-year-old son suffers from a range of conditions, including a heart defect and seizures, for which several pieces of medical equipment are needed. She posted a photo of the note to Facebook, saying: "To the spineless heartless living thing who left this note on my car I hope you can sleep peacefully tonight." 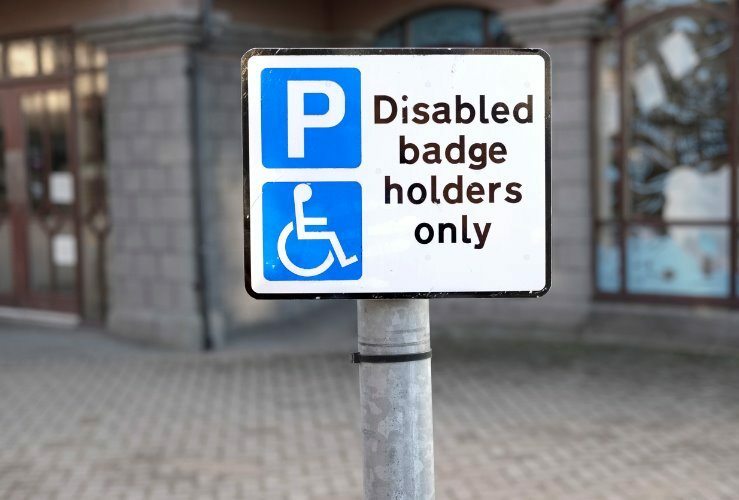 Disability Rights UK deputy chief executive Sue Bott CBE said it "wasn't always obvious" why a person had a blue badge, adding that they "may have a hidden disability or be the parent of a disabled child." However, Bott also said the blue badge scheme had been abused in the past.